The television set is without a doubt one of the main fixtures of nearly every home in the United States. 20 million of those televisions are powered with DirecTV programming. 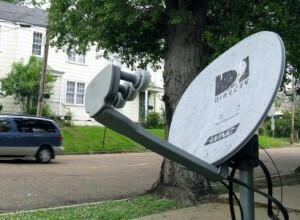 At the stroke of midnight Tuesday night, DirecTV subscribers had 26 channels blacked out indefinitely. The reason for the blackout is the inability of DirecTV and Viacom to come to terms on a new contract to provide channels that Viacom owns to DirecTV subscribers. Some of the more popular channels lost by 20 million subscribers included MTV, VH1, Comedy Central, and Spike TV. 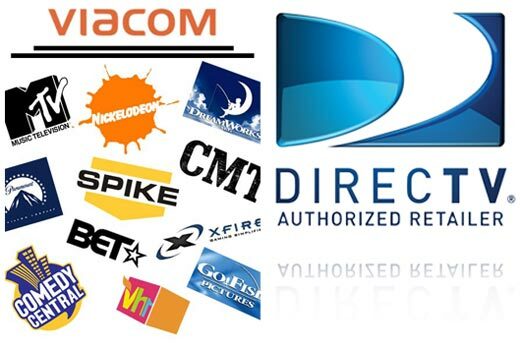 Viacom has pointed the finger at DirecTV for not coming to the negotiating table ready to work out a new deal. DirecTV has blasted back that Viacom tried to unreasonably increase the costs of their channels. That would lead to DirecTV having to raise the prices for subscribers in order to keep their finances in order. It should go without saying that the millions left in the dark from their favorite television programming are not happy about the dispute. The conflict has affected all age ranges as children are unable to enjoy their Nickelodeon and adults can’t unwind after a long day of work with a laugh from Comedy Central. DirecTV claims to be working with Viacom to get a deal negotiated soon that would not change the bills that subscribers receive. But how long will that really take? Many subscribers are already very frustrated and are looking into other options. Many are displeased that DirecTV and Viacom both waited so long to work on a deal that customers are left without their desired programming. The dispute is very reminiscent of how the men and women in Congress often times wait until the final second of the final hour to pass a necessary bill and often vote on extensions to get the bill agreed upon. As mentioned, customers of DirecTV are already looking at their other options. While just as many people are upset with Viacom, they want the channels and programs Viacom offers. Those are attainable without DirecTV. DirecTV might be left in the dust. It would not be difficult for millions of Americans to slowly leave DirecTV due to the contract dispute. After all, if you paid for a monthly service and were not given everything you paid for and had the option of switching providers for that service, wouldn’t you at least look into it? In the long run, this might cost DirecTV millions of customers and millions of dollars. If the conflict is not settled without raising the costs of DirecTV packages and bills any time soon, then do not be surprised if many subscribers take their business elsewhere. While some subscribers might have a long time left on their contracts, they can use Hulu or online videos of episodes on show websites and channel websites where offered to stay tuned for the time being. Other options include checking out other programming and older shows or DVD’s that you were curious about, but never got around to. And of course there is the wildly retro alternative of not watching television as much. Instead you could play outside (or inside) with your children or spend the time reading or just enjoying the company of loved ones and friends. This could be an opportunity to spend more time exploring your city and what it has to offer. You could pick up a hobby or revisit old interests that have slipped away over the years. The dispute between DirecTV and Viacom could end in a day, a week, a month, or it could be over by the time you finish reading this article. The two sides are so far apart on numbers that unless one side gives in and compromises a great deal quickly, a resolution will not be found in the near future. Whether you seek to take your business elsewhere or just take this as an opportunity to explore new things that do not involve those 26 channels, sooner or later this conflict will be over and DirecTV will be back at full service.